A&A Custom Wear produces high quality and personalized designs and logos for your organization. We’ll help you turn your logo into a beautifully stitched design! For embroidery, any image file type (such as jpg, bmp, png) will work. The images you send do not have to be high quality, but as always, the higher the quality, the better the image results. While there is no minimum order for embroidered products, at least 12 is recommended. An order of less than twelve will generate a one time $25 fee for new logo set up. If the order contains more than 12, however, we’re happy to waive that fee. Our customers are free to mix and match between garment styles and colors to create a wide variety of options at no additional cost to them. For best pricing, keep in mind that higher detailed logos require a higher stitch count, which increases price. Having multiple locations of embroidery on one garment will also cause the price to rise. 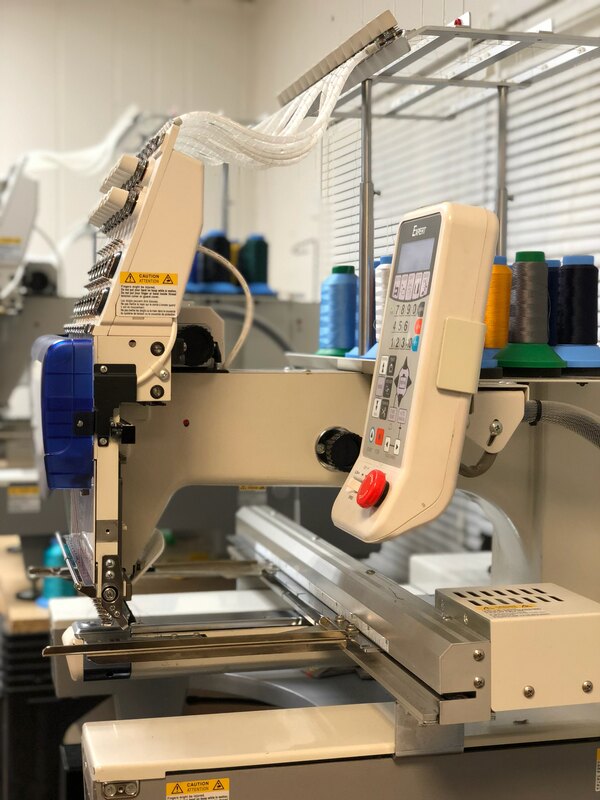 All embroidery pricing is variable on things like logo complexity, quantity of garments, and number of design locations. Use the quote checklist for accurate pricing.